It has been said that everlasting friends go long periods of time without speaking and never question the friendship. 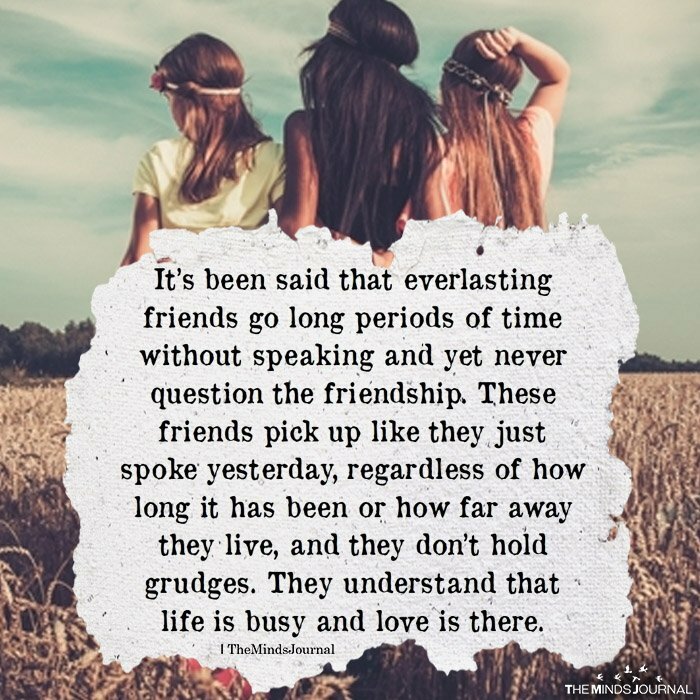 These friends pick up like they just spoke yesterday, regardless of how long it has been or how far away they live, and they don’t hold grudges. They understand that life is busy and love is there. I have friends like this , and I treasure them…..